Welcome to the Labs sessions! Here at Vectric we all love to make stuff, so we thought we would share our inspiration, designs and the CNC process with our community by sharing the projects we make. Each project comes with its own video for you to watch that tells the story of what we’re making from start to finish. 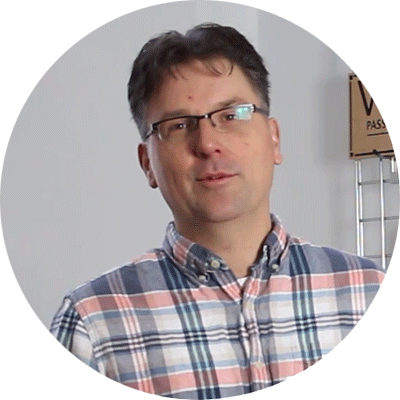 Including technical software footage, machining the parts in the Labs, finishing the projects and we’ll even throw a few tips in based on our experiences. Go ahead and try out one of the projects out for yourself and share what you have made on the Vectric Forum! 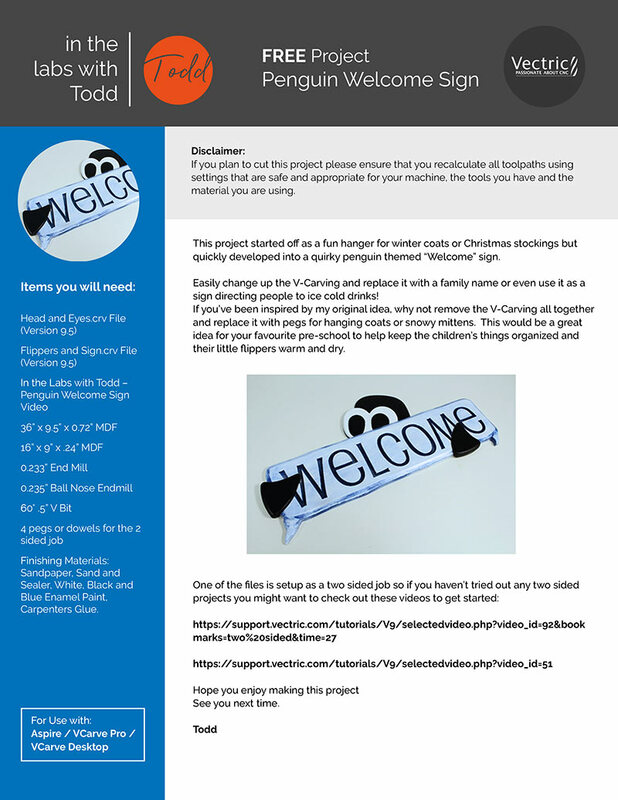 This project started off as a fun hanger for winter coats or Christmas stockings but quickly developed into a quirky penguin themed “Welcome” sign. Easily change up the V-Carving and replace it with a family name or even use it as a sign directing people to ice cold drinks! If you’ve been inspired by my original idea, why not remove the V-Carving all together and replace it with pegs for hanging coats or snowy mittens. This would be a great idea for your favourite pre-school to help keep the children’s things organized and their little flippers warm and dry.